Beautiful brunette woman wearing a hat looking out at the ocean on a beach in Australia with soft natural lighting. Close up shot on 4k RED camera. 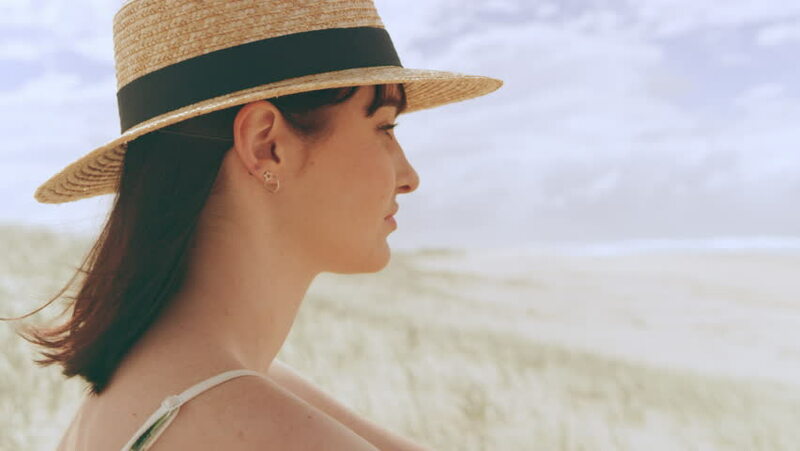 4k00:15Beautiful brunette woman wearing a hat looking out at the ocean on a beach in Australia with soft natural lighting. Close up shot on 4k RED camera. 4k00:19Beautiful brunette woman wearing a hat sitting on a beach looking out at the ocean in Australia with soft natural lighting. Medium shot on 4k RED camera. 4k00:08Woman walking on the ocean beach under blue sky in sunny day. Seascape view with palms. 4k00:11Beautiful woman wearing a hat and sunglasses driving an ATV through a forest in Australia, shaded natural lighting. Close up shot on 4k RED camera. 4k00:25Friends casually playing cricket on the beach with sea and sun in the background in Australia. Wide shot on 4k RED camera. 4k00:22Friends cruising on a boat watching a beautiful sunset in Australia. Medium close on 4k RED camera.